When thawed correctly, frozen shrimp, whether cooked or raw, ranks as one the frozen foods you can get on the table for dinner in under 30 minutes. If you keep a supply of frozen shrimp in your freezer, you can thaw it just before you need it. Focus on speed and safety when you thaw shrimp, so your food remains tasty and free from harmful bacteria. 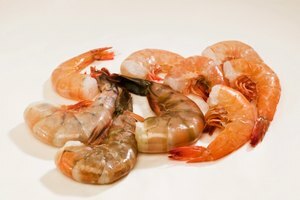 Choose frozen shrimp from the middle or the bottom of the packages in a freezer case to increase the likelihood that you get a package that has stayed frozen. 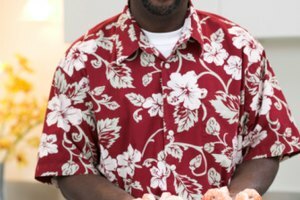 Avoid packages that are crushed around the edges or have frost or ice crystals, which indicate that the shrimp may have thawed and refrozen. Submerging frozen shrimp works well for large shrimp or prawns, because more surface area of the shellfish gets exposed. 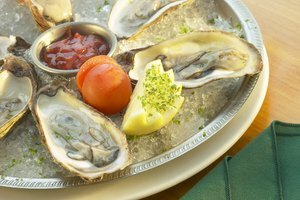 The U.S. Department of Agriculture recommends this method for seafood, meat and poultry. The water-flow method works well for small or medium-sized shrimp. Small and miniature shrimp take 10 to 15 minutes to thaw with cold-water methods, while jumbo shrimp and prawns take 25 to 30 minutes. Microwave thawing takes less time than cold-water thawing, but because the shrimp begin to warm, you need to cook them immediately after thawing to prevent the growth of bacteria. Remove the shrimp from their packaging and place them in a covered microwave-safe container. Microwave on the defrost setting and begin with 30-second segments for small and miniature shrimp and 1-minute segments for larger shrimp and prawns. Check the shrimp after each defrosting segment. The shrimp are thawed when you can bend the pieces, even though they still contain some ice crystals. 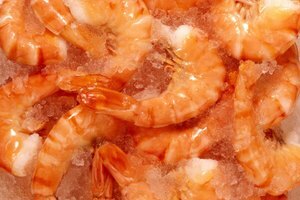 Although thawing overnight in the refrigerator takes longer than microwave or cold-water thawing, it is a safe and convenient way to thaw shrimp. Keep the shrimp covered in an airtight container and place them in a bowl or on a plate in case of leakage.